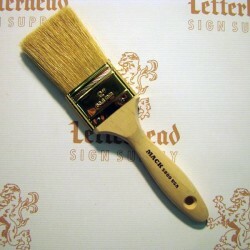 Cutter Brushes Double series-5880 size 1-1/2" by Mack Brush for Sign Painters is for rough surfaces like Stucco Signs and Brick wall Signs. 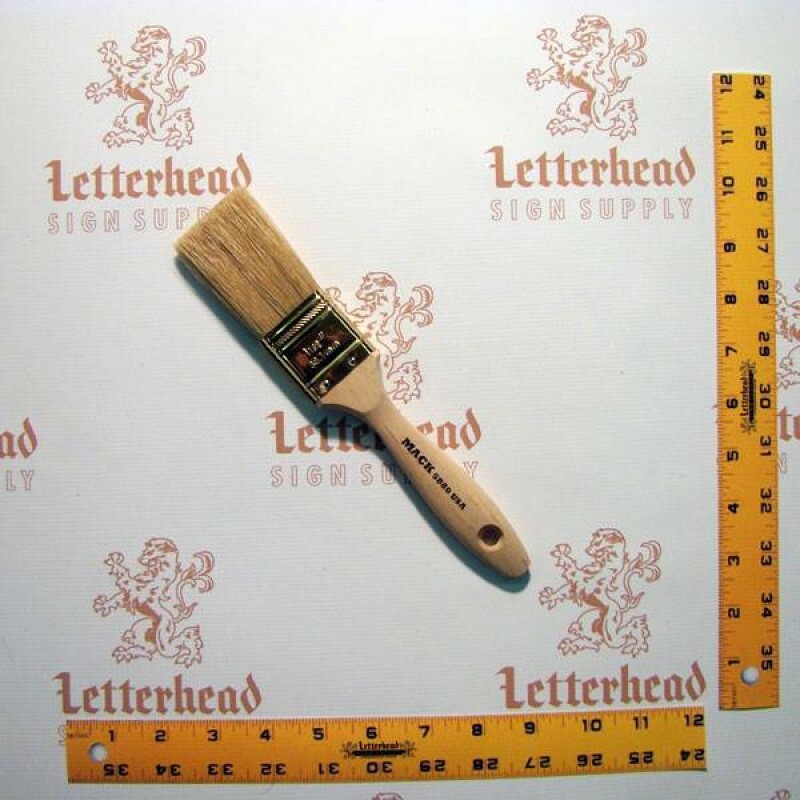 Cutter Brushes Double series-5880 size 1-1/2" are used for coating sign enamels, sign latex and sign primers by hand painted. 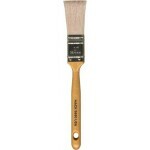 Great for outdoor work, Cutter Brushes Double series 5880 size 1-1/2" are a very sturdy brushes. 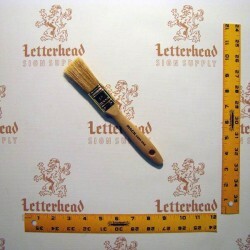 They are made of the finest quality natural hair, with clear lacquer finished handles. 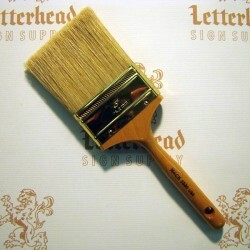 The Cutter Brushes Double series 5880 size 1-1/2" have nickel Ferrules, they are hand chiseled. 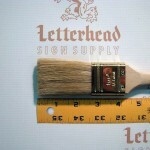 These brushes are made from 100% pure White Hog Bristle. This type of brush hair comes from hogs in different parts of the world, but the very best comes from China. 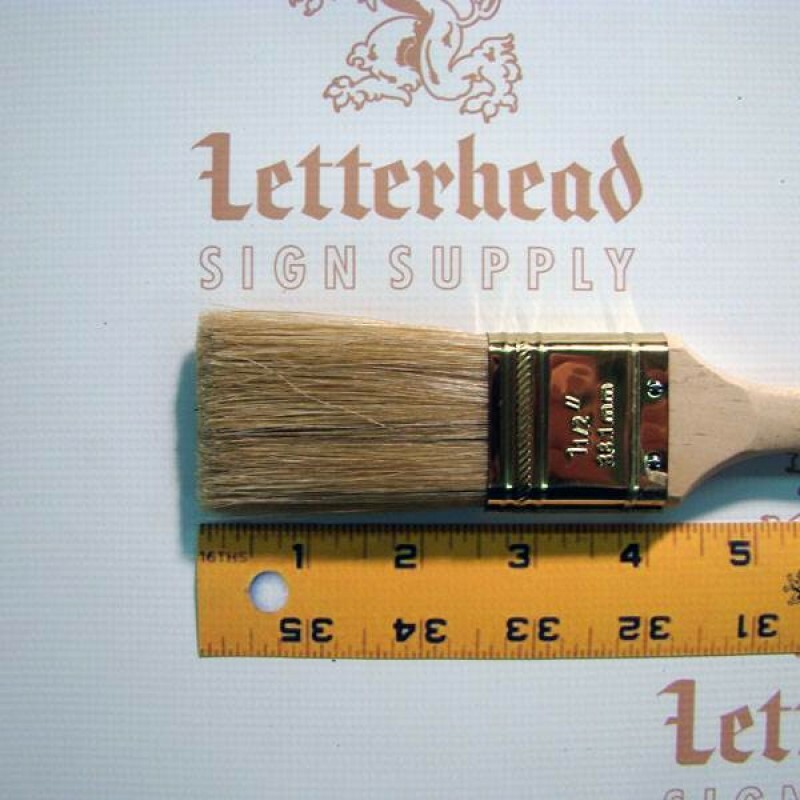 Hog bristle is different than any other natural fiber, since it forms a V-shaped split or "flag" at the tip, and has a natural curve. 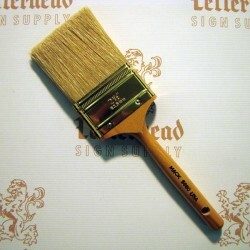 This gives it a resistance to fraying and it spreads paint smoothly and evenly. 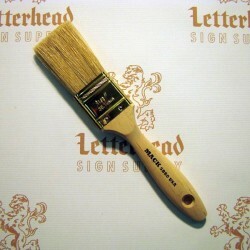 These brushes are great for any sign painter, or hand painter for outdoor work. 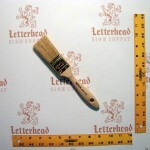 The brushes are available in sizes 1" - 3", Length out 2-3/8", Thickness 1/2", White Hog Bristle Double Cutter. Theses Double Cutter Brushes have: Clear Lacquer Finish Handles; Nickel Ferrules; Round "Peg Grip" Handle with Hole; Pure White Hog Bristle. 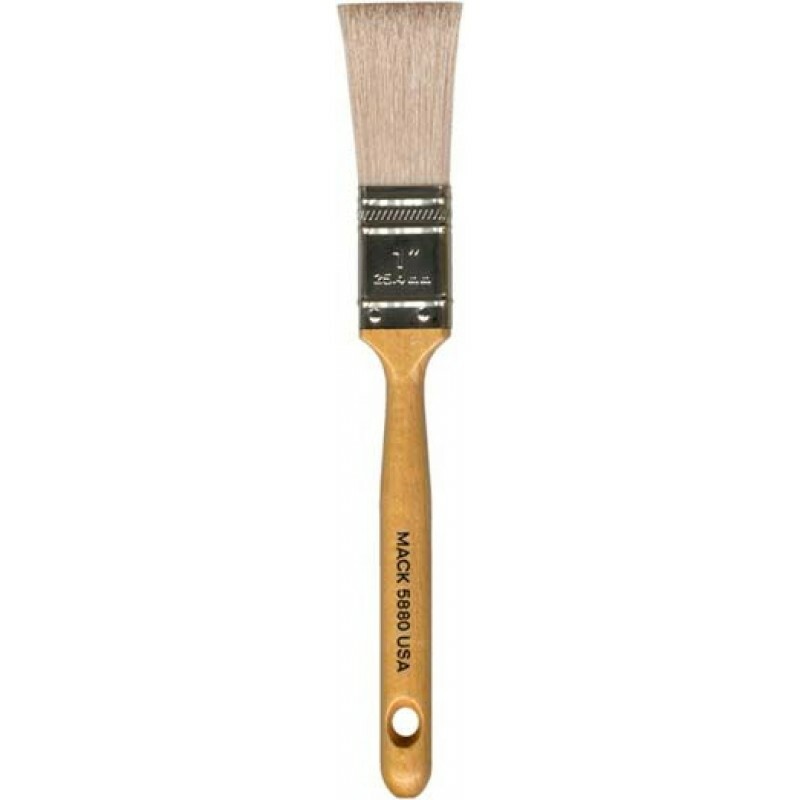 These White Bristle Double Cutter Brushes are a fine quality, and are Standard Production Chiseled and are excellent for Outdoor work.